R:&N: F.L.Skinner, c.1944 I:1948. LYB 10:39 (1946). 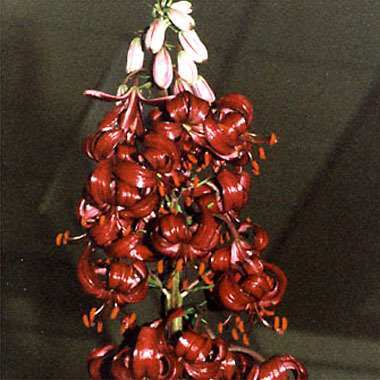 Very dark mahogany, almost black, with reddish glow at edge of petals. Stems 1.0-1.2m. July.